Just yesterday we heard that Darwyn Cooke had entered palliative care in the last stages of cancer, and by the time I went to bed, the internet was telling me we that we have lost Darwyn Cooke, comics artist and writer. 2016 seems intent on taking my favorite artists from the world before their time. It seemed to me Cooke was properly appreciated by comics enthusiasts, and a favorite in the creator community as a solid guy. His art is making its way around the internet, and you won't have to look far for the next 72 hours to see all of us posting our favorite pieces. I'll focus here on his DC work and his work with Richard Stark's Parker novels. 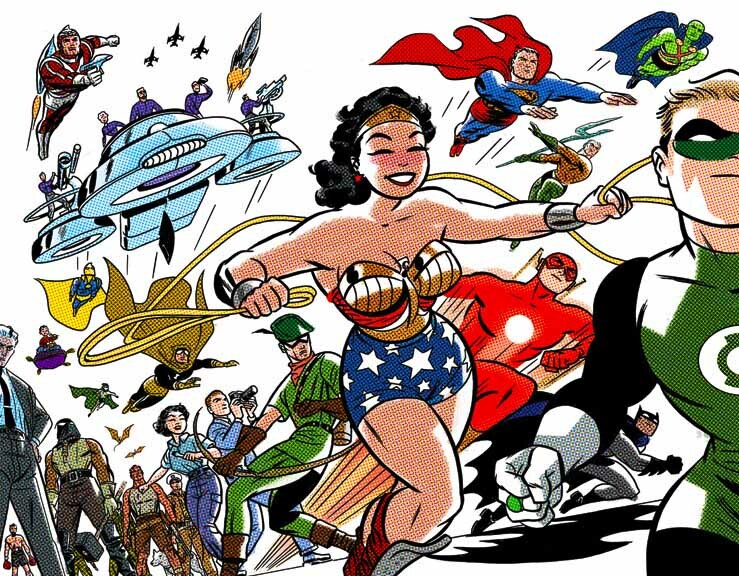 Perhaps the best known of his works is DC's New Frontier, the Jet Age re-imagining of the origin of the Justice League of America, featuring all the mainstay players and some more-forgotten characters of the JFK/ pop explosion era of DC. If you've never read it, it's available out there in print and digital. And, it was adapted into a feature length cartoon film a few years back. 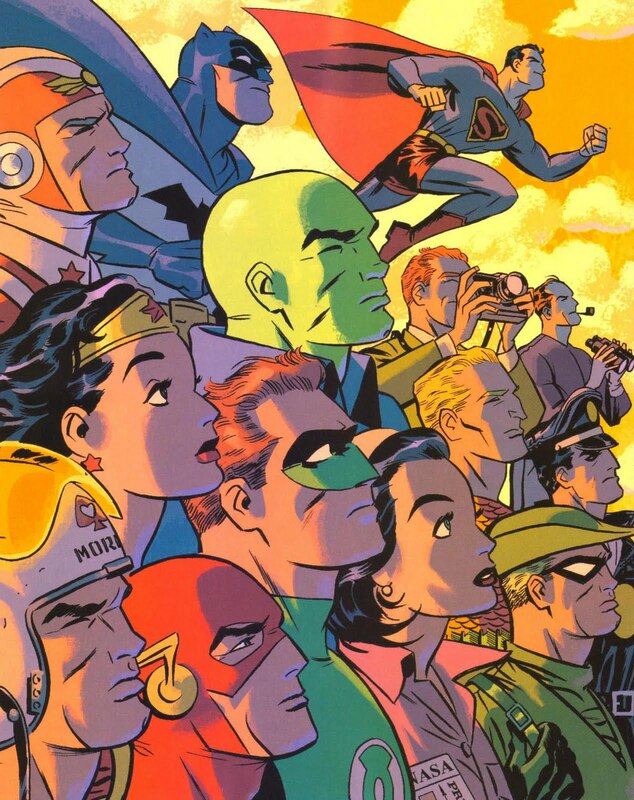 Cooke's art tilted toward iconographic cartooning, and fit no house style at DC, even as it clearly fit the aesthetic and mood of the DCU on the sunniest of days. Both retro and modern, his style borrowing heavily from the pop-art style of late-50/ early-60's illustration, with the nuance of line to manage expression and convey more in a face than 95% of comics artists. 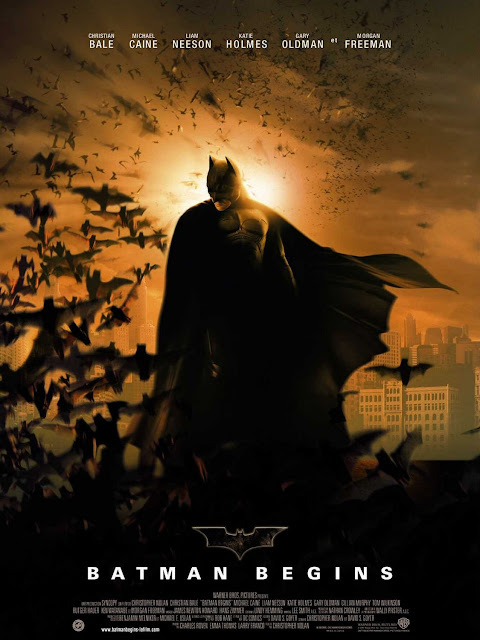 During an era when DC Comics and comics in general are on a swing back toward projecting a world view of fire, chaos, and gnashing teeth for all of their characters, Cooke still found a place in the comics world to show a DC Universe infused with hope. One of my best friends is currently in Denver with his mother as she enters the final stages of her battle with cancer. His girlfriend lost her brother last year to cancer. And another good friend found out her dad had cancer and her father passed within 4 weeks. 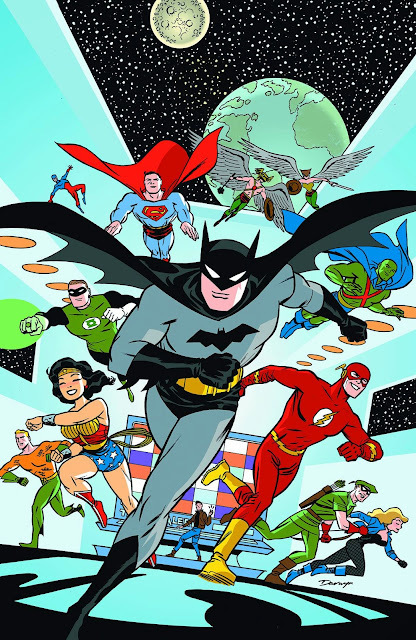 Comics artist Darwyn Cooke, one of the finest talents in the industry as both writer and artist, is now moving into palliative care. Max's raffle is over with, but I highly recommend everyone think long and hard about giving to The American Cancer Society, or other similar organizations of your choice. Here's what I know after reading Caped Crusade: Batman and the Rise of Nerd Culture (2016) - I would love to spend a couple hours at a bar with author Glen Weldon knocking back a couple of cocktails and talking comics. The book is a perfect compliment to the sort of discussion we've been having here at The Signal Watch the past few years, from our Gen-X Recollection Project (still ongoing! Send in your posts! 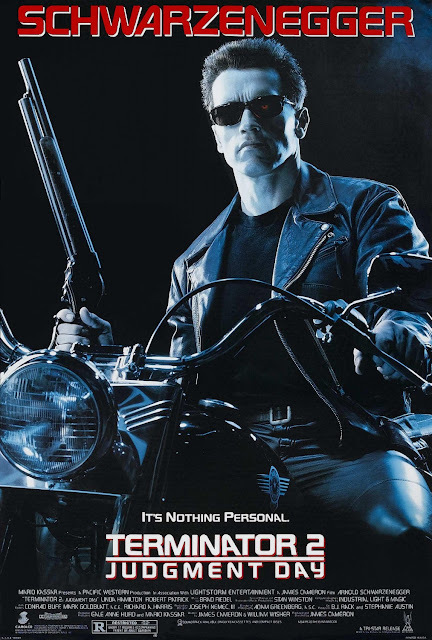 ), to trying to contextualize what we see in movies of the past and present as seasoned dorks. As a matter of course, I've read a few Superman retrospectives, but very few feel like an honest conversation. Les Daniels' works read like what they are - honest if fairly sanitary historical accounts of the rise of Superman in all media. The very-well-selling Larry Tye book felt like a lot of research into something the author felt would move books but for which he had little personal affinity and seemed surprised that Superman wasn't the character he remembered from his years watching The Adventures of Superman. 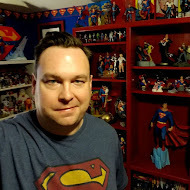 Author Tom De Haven has the strangest relationship with Superman, having written a full novel re-imagining the character from the ground up (in ways that often seemed far, far off the mark), and then a sort of retrospective that made it clear - he kinda hates Superman. But aside from Les Daniels and a few excerpts in books like Ten Cent Plague and Men of Tomorrow, I haven't read up as much on Batman. I actually heard of author Glen Weldon when he put out a book called Superman: The Unauthorized Biography. I purchased the book, but hadn't read it as I had a stack of books I was making it through. Still haven't read it, honestly, aside from the first few pages, which had me cackling in recognition of someone who truly knew their Superman. But, two days after I picked up the Superman book, Weldon announced on twitter his Batman book was coming, and as I'd just finished the Tye Superman book, I figured - I'll just wait for that one. 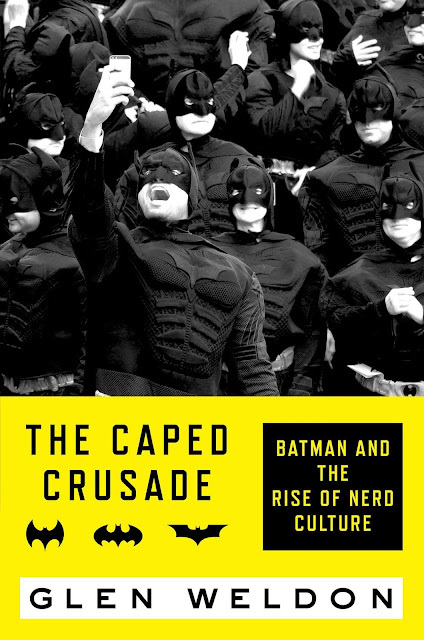 I really can't recommend Caped Crusade enough. This is a "run, don't walk" sort of recommendation. 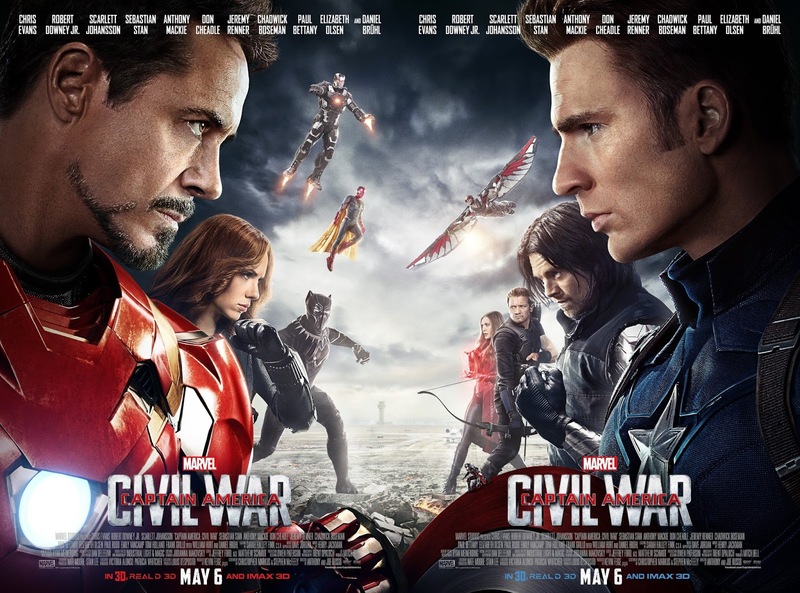 Let''s be honest - if you're trying to look at Marvel movies as individual installments - you're utterly missing the point. I suspect you're the sort of person who, while selecting a computer, asks the sales associate what gauge typewriter ribbon this contraption will require. The strength of the Marvel U is the serial nature and continuity, something more traditional critics seem to balk at, continually expect to flounder, but then engage with once they get down to brass tacks in their discussion of the semi-annual Marvel release. Captain America: Civil War (2016) is the culmination of the past decade's worth of Marvel studios box office success, tight narrative management, and editorial vision of a shared universe reflecting the best aspects of more than 50 years of Marvel comics. I should point out right here that I still have not seen Batman v. Superman, so I'll do my best not to make any comparisons between this film and one I haven't seen. It's not fair to either. My relationship with the original Civil War comics from Marvel is not a great one. I loved the art in the main series, but I didn't entirely buy either Cap or Tony suddenly coming to their respective positions, and due to events in recent Captain America comics - Steve had unmasked on camera and said his name directly into a microphone as a sign of strength while confronting terrorists (it was just post 9/11) - I didn't really think it made sense for him to be the standard bearer in the comics for being anti-government management. After all, Steve has been roughly a government op for SHIELD since his return in the 64' era and getting his own title. At the series' conclusion, it felt like they took dozens and dozens of comics, from the mini-series to the associated mini-series, to the in-continuity issue tie-in's, to tell a story which only really needed about 5-7 issues to tell. And, at the conclusion of that series, I dropped Marvel as a line, except for, I think, Black Panther - which I only stuck with for a while longer, and then Cap. They were headed into doing the same thing over again with another storyline (that Skrull dealy-o), and I just raised my hands and said "I can't afford this, and you need to do this better". Thus, I was a bit skeptical when Marvel selected Civil War as the basis for its next storyline for Cap following Winter Soldier. If I was cheered a bit, it was that I felt Winter Soldier was an entirely new story using pieces of the comics (which I'd enjoyed terrifically), maintaining the central conflicts and many of the characters while telling an entirely different story.